Let's create a "4th of July" banner today! Easy to store with your holiday decorations and makes a statement every time! I have a big white frame that I like to change up and use to decorate. The background was created by piecing 5 pieces of 12" x 12" mambi paper together. Shhh ... Don't look too close, you might see the lines. 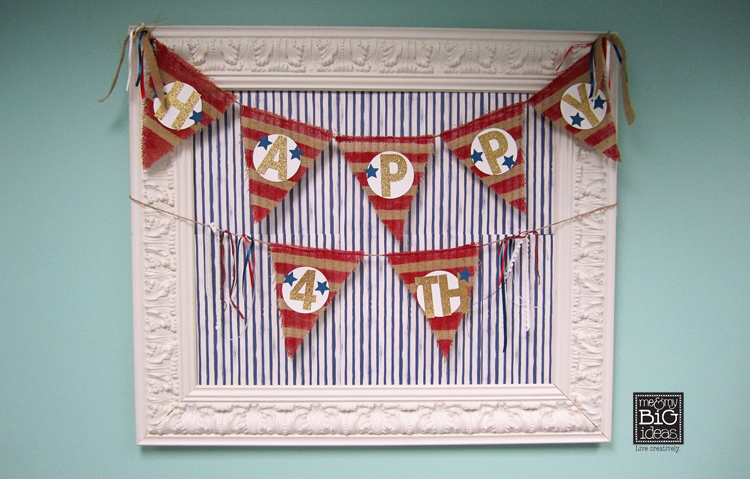 Then I added the painted burlap banner, it's not hard, see below. 1. 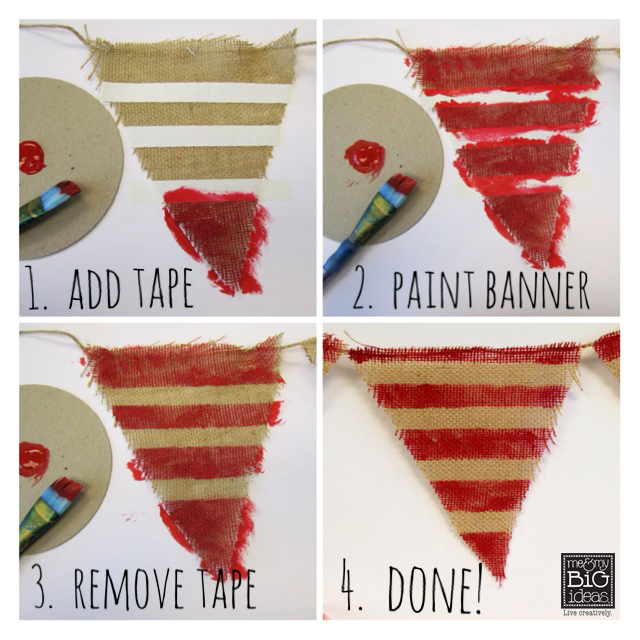 Add tape to create stripes. I used crafters tape but you can use the blue painters tape also. 3. Let the paint dry then peel the tape. I found that holding the banner down while pulling off the tape helped the burlap to unravel less. 4. Done with the banner, now add letters, embellishments, anything you'd like. 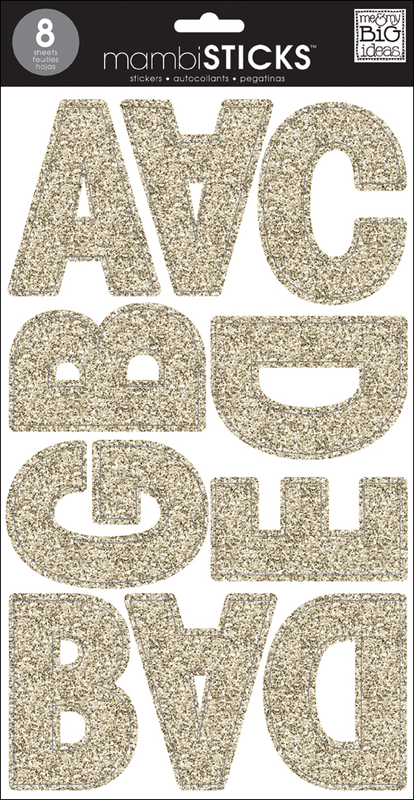 I used our mambi STICKS™ shown below, I love the glitter and how easy they are to use. They come in tons of colors so they'll be good for whatever type of banner you're making.